Arsenal of Democracy for the win. 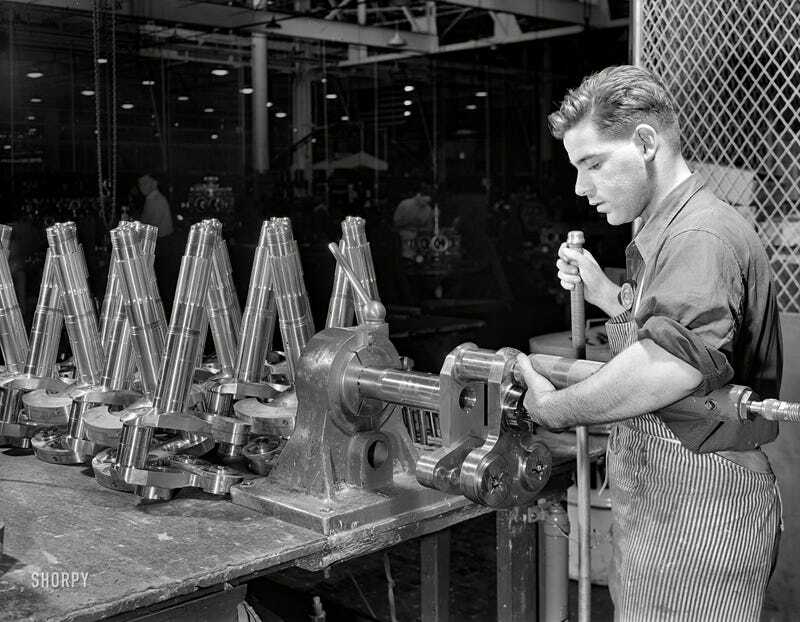 In the photo above, a worker at the United Aircraft plant works on crankshaft assemblies for Pratt & Whitney radial aircraft engines. This is the piece that will be turned by the engine. The worker has his gripping tool in the hole where the pushrods will attach, and the weight of that is balanced by the lobe at the bottom. So he is working on the gray part (JHU) in the diagram below. 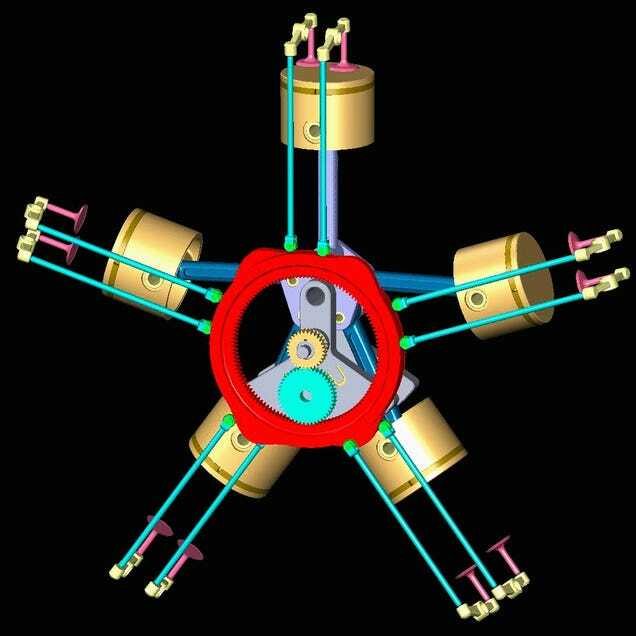 For a really fantastic description of how a radial engine works, check out these videos of a crazy guy who built a working model of one out of wood.